Almost every house, twice in a week everyone will say this dialogue –“I do not have time to take Breakfast,” “Nothing will happen if I miss Breakfast today,” “Boring, let me have heavy lunch” so on. Please do not wait for what we want to say. You take a note and read while you are traveling, at leisure time, or before meeting a Health consultant. Do you know why you should not skip Breakfast?? After a gap of 7 to 9 hours, from your dinner, your stomach and the digestive system are empty. You need enough strength to start your day with full energy. A King Size Breakfast is necessary. If you miss breakfast in due course you may face problems like cardiac problem, acidity, or metabolism. The basic need of a human body is the carbohydrate, Fat, Protein, Vitamin, and Minerals. There are many simple but balanced Breakfast varieties, which keeps you stay smart. The typical South Indian Dish, very healthy and simple Breakfast, which can take with Dal Sambar or Coconut Chutney or Dal chili powder. The batter of rice and Black gram keeps you rich protein and carbohydrate. The same idli can fry with onion, Garlic, and tomato paste for a different taste. This is most appreciated south Indian Breakfast and suitable for all age group including aged persons and patients. The Dosa, another lingering South Indian Breakfast item bagged many awards for its uniqueness. The low calorie, rich in protein and carbohydrate Dosa, easily mixes with any combinations. The quality and taste differ depending on the thickness of the Dosa. A brown colour very thin variety named Roast Dosa to thickest named Uthappam. The each variety gives different lingering tastes. The chapatti or Roti, made out of Wheat flour is another fantastic breakfast, which keeps you active until lunch. The Dhal fry, mixed vegetables or curd will suit with Chapatti / Roti. The chapatti toasted with ghee can withstand for days during the travel. As Dosa, the Potato stuffed Chapatti, Boiled vegetables mixed Chapatti, Cheese roll with Chapatti and Onion stuffed Roti are few varieties. During the winter, Chapatti is one of the warmest breakfast with milk keeps you active. One tomato, bunch of Beans, One Capsicum, Carrot, Cucumber, Onion, a punch of green peas, cabbage 4 leaf, a bunch of coriander leaf – chop all these into small pieces add salt and pepper to taste. These green vegetables can sandwich with bread for kids. One bowl of green vegetables with one glass of milk makes to slim and stunning. 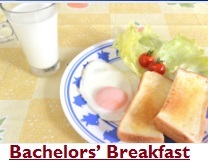 It is the Bachelor’s breakfast, two or three boiled eggs with bread slices and cup of boiled milk, is very quick recipe and healthy breakfast. If you have enough time, you can make Plain omelet or cut onion and tomato as Masala Omelet. One glass of milk or Fruit juice with Omelet energizes you. 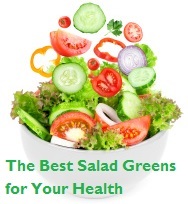 You keep green vegetables, Boiled vegetables and Fresh fruits in your week long breakfast menu, Keeps the Doctor away. Have a Breakfast and enjoy the Day. Food Poisoning-Symptoms and remedies || How to become slim?